If you're in between sizes and have any tummy flaws and/or fuller hips? We recommend ordering up. the fabric barely stretches. 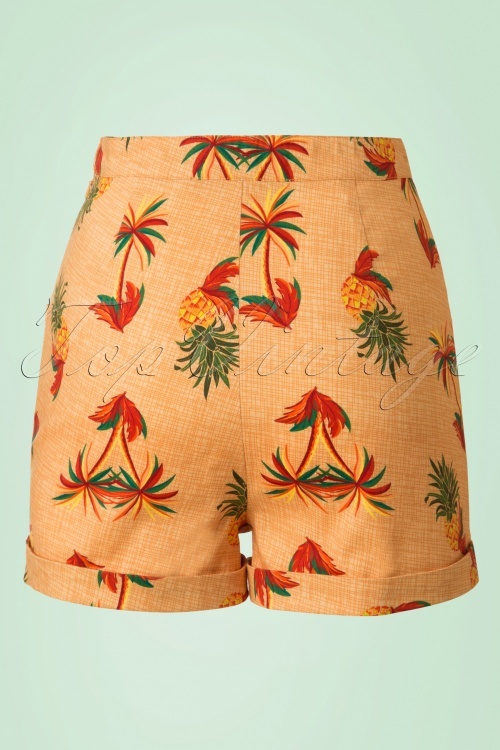 Summer is coming, time to show off your legs in these 50s Ayana Pineapple Palm Shorts! 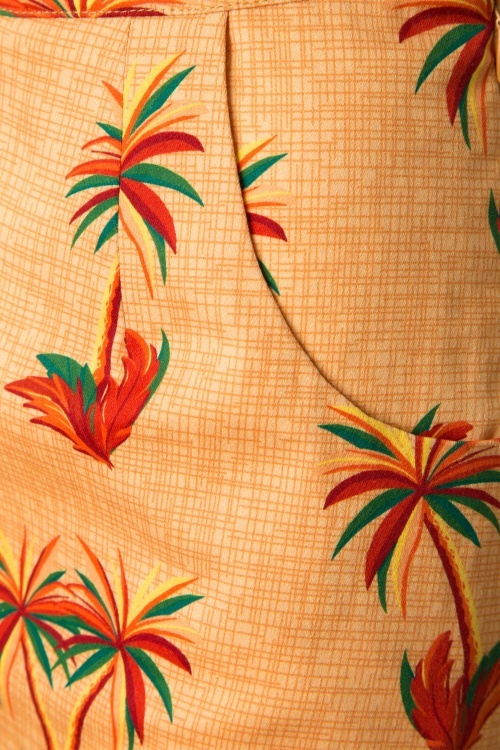 Fitted high waist style featuring handy side pockets, fold-overs and a fantastic tropical print... she'll brighten up any day! 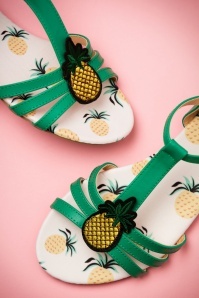 She's also super flattering for both ladies with slim legs and ladies with curvy legs, oh la la. 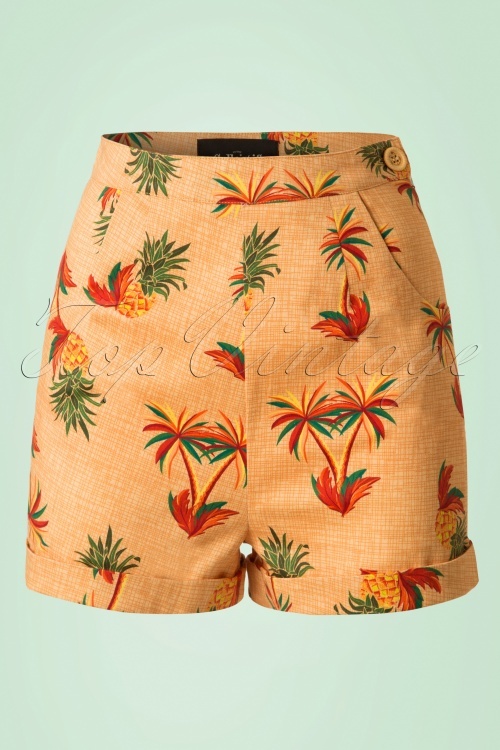 Made from a dark yellow cotton blend with a light stretch for a lovely fit. One thing you should never forget to bring when you're going on vacation... Ayana! Note; these shorts run small, check our size guide for the right size.